Today we speak of olive oil as if it were a single variety, but the truth is that there are many varieties of olive oils that are grown throughout the national territory, mainly in the region of Andalusia. It is the olive oil of superior quality, is extracted directly from the olives, hence the name of olive juice, as it is not subjected to any chemical procedure. Its smell and taste are exquisite and incomparable, varying its intensity depending on the variety of olives used in its extraction. The degree of acidity should not exceed 0.8⁰. 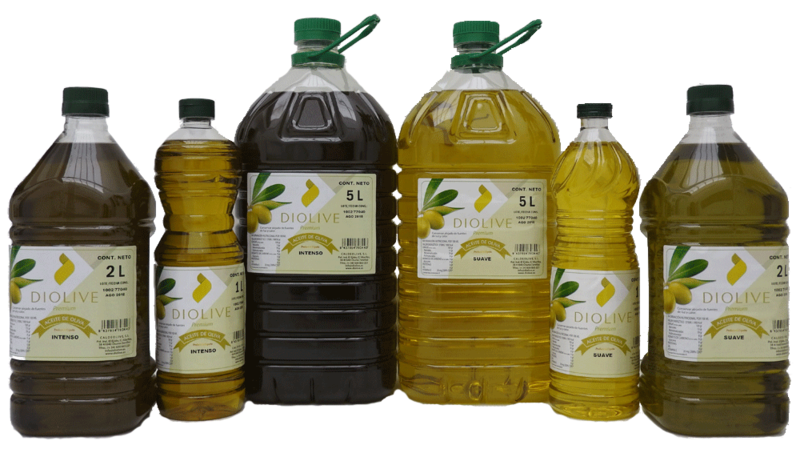 Diolive Selection, is made with the best fruit so its quality is extraordinary. It is recommended both for use in hot and in raw, as it enhances the taste of food. It is also packaged unfiltered. Extra virgin olive oil is rich in polyphenols that contribute to the protection of blood lipids against oxidative damage. It also has anti-inflammatory, antibiotic and anticancer properties. It is an olive oil of inferior quality to the Extra Virgin, although it is also obtained directly from the olives without the intervention of chemical procedures. Its odor and taste parameters are less intense than the Extra Virgin, and its acidity oscillates between 0.8⁰ and 2⁰. Oil obtained after a mixture of virgin olive oil, and a chemically refined olive oil. This oil does not have the characteristics of smell and taste such as extra virgin olive oil and virgin olive oil, although it contains all its properties since it comes from virgin olive oil. The main difference between the two is a subtle brushstroke of flavor since in the elaboration of the intense olive oil a greater amount of virgin olive oil is used, hence its flavor is more powerful than that of the mild olive oil that has a lighter taste. 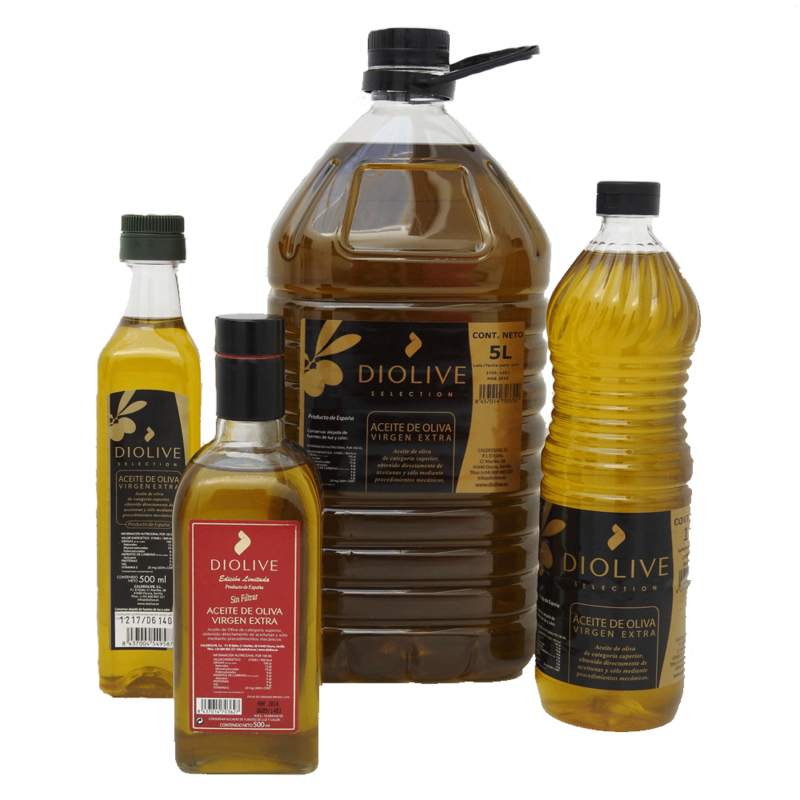 We recommend our intense olive oil Diolive to those who want to enhance the taste of olive oil on your table at a lower price than virgin olive oil and extra virgin in both raw and cooked food. 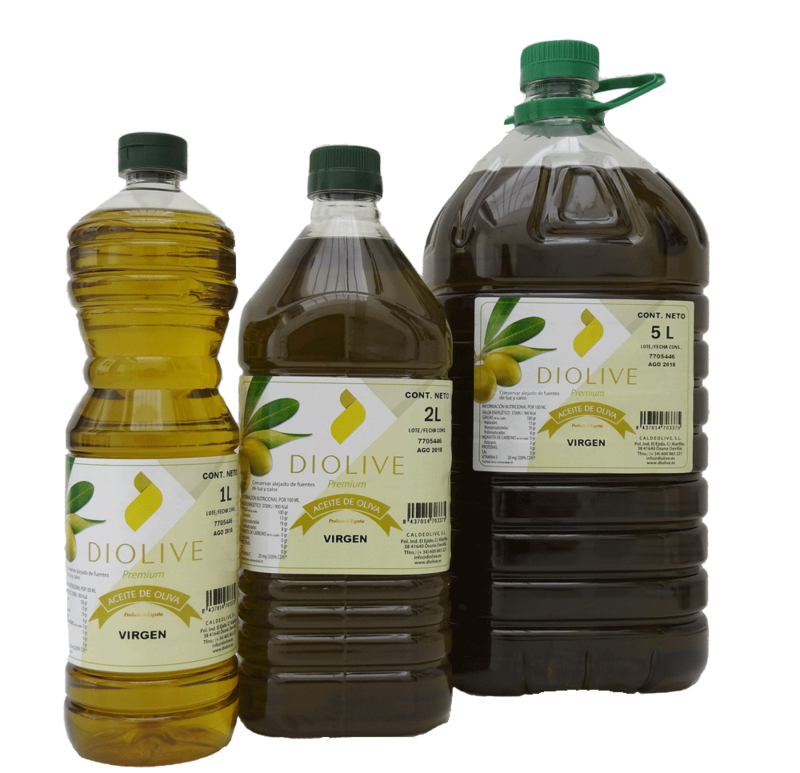 Using Diolive mild Olive Oil, it is advised for those who want to enjoy all the benefits of olive oils without losing the proper taste of food made from raw or stewed. Try them all, the taste changes according to its variety, the degree of maturity of the fruit, the climatic conditions, the soil. The itching and bitterness are positive attributes, enjoy the intensity to a greater or lesser degree of each oil. Do not be guided by the color, since it is not related to either taste or quality. Keep it well covered, away from light and heat so that it retains all the benefits it offers. The best way to enjoy them is to use them within 12 months of packaging, having kept it in the conditions already described.